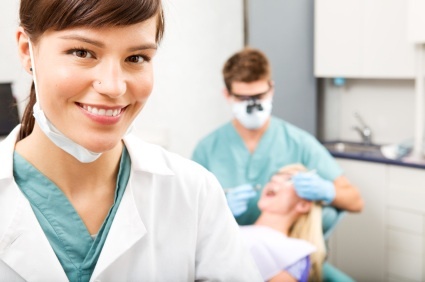 Advancements in Dental Technology are something to Smile About! Dakota Dental uses the latest in dental technology. Dental procedures have been documented since the time of the early Egyptians in 2600 BC. Around 500 BC, Aristotle and Hippocrates wrote about treating tooth decay and using wires to stabilize loose teeth. Throughout the middle ages, the specialty of dental care belonged to barbers, who performed everything from tooth extraction to more complex operations. During the 1700’s, advances in techniques, crowns, and dentures slowly began to develop. Paul Revere actually placed ads in a Boston newspaper offering his services as a dentist. In fact, the first known case of post-mortem dental forensics was documented, as Revere was able to verify the death of his friend by identifying the dental bridge he constructed for him. Despite the advancements up to that point, a very important achievement came in 1846, when dentist William Morton conducted the first successful public demonstration of using ether anesthesia for dental surgery. By the 1880’s, tube toothpaste was developed and could be produced for the masses; then not much later, x-rays are discovered and began being used in dentistry. By the 1950’s, Novocain, dental hygienists, and water and toothpaste fluoridation are all developed and introduced to the industry. The field of dentistry has certainly come a long way over the centuries, and it constantly evolving and expanding. Now, we have digital x-rays, which are faster and contain less radiation than traditional x-rays. Not only is there less radiation, but dentists can zoom in for more detail and precision. Dental implants, which are screw-replacements for the root portion of missing teeth, represent another significant advancement in dentistry. These implants are used for patients with missing teeth and give the look and feel of a natural tooth. In terms of orthodontics, Invisalign braces are a practically invisible way to fix crooked teeth. Another cosmetic dental advancement is teeth whitening, which can lift off years of stains for a bright, white smile. Dakota Dental stays up to date on advancements in dentistry to give you the very best dental care. Dakota Dental offers services such as implants, Invisalign, teeth whitening and much more! Contact Dakota Dental today for more information about the latest in our dental procedures and technologies. Is Paying More For Toothpaste Really Worth it?